As you may know, precious metals IRAs offer investors several primary advantages – it protects their savings from devaluation due to inflation, offers the ongoing opportunity to grow their savings as the precious metals appreciate in value, and it provides an avenue in which to invest in virtually all popular financial instruments without having to first liquidate the metals into cash. Regal Assets is an international phenomenon in alternative asset management and also offers high quality depository services. 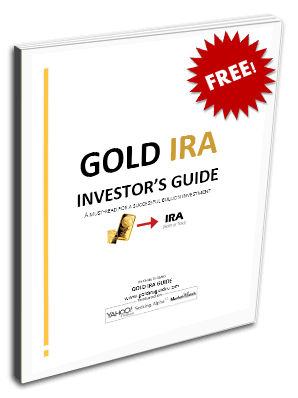 They are the number one-rated gold and retirement investing firm in North America. The company also has offices in the DMCC in Dubai where it stores bullion for customers in the Middle East and beyond in one of the world's most secure vaults. Regal Assets offers a first year of free storage plus a flat $250 per year storage fee that is difficult to match (much less beat). They boast perfect ratings from all three ratings agencies, including the BBB, BCA, and Trustlink review companies. The Delaware Depository Service Company is approved by the IRS and is licensed by the CME Group as an exchange-approved depository for the NYMEX and COMEX markets. Delaware Depository provides up to $1 billion of all-risk insurance coverage, including up to $100,000 coverage per package for shipments made by express carrier or mail. This company has clients of all sizes but generally caters to brokerage firms, manufacturers, refiners, IRA custodians, coin dealers, retailers, and commodity trading houses. Clients of the Delaware Depository also benefit from Delaware's numerous business tax advantages. Although JP Morgan has more than 3 decades experience in providing services related to precious metals, the company became an approved depository relatively recently in 2011. JP Morgan Global Metals also offers risk management solutions to its clients, as well as state-of-the-art vault facilities in New York, London, and Singapore. Precious metals managed by JP Morgan include Gold, Silver, Platinum, Palladium, and Rhodium. Given its recent inception as an approved depository, JP Morgan's depository currently accounts for less than 10% of the COMEX. The ScotiaMocatta depository is actually part of Scotiabank, which has long been referred to as “Canada's gold bank” and has investment and finance roots going all the way back to 1671. ScotiaMocatta was founded in 1997 when Scotia Capital Markets acquired Mocatta Bullion & Base from the Standard Chartered Bank (SBC). ScotiaMocatta is an approved COMEX depository that provides 24-hour global market coverage as well as a wide range of precious metals-related services, including but not limited to coins, certificate programs, leases/consignments/loans, rate agreements, and global physical delivery of stored metals. CNT Inc. is a COMEX-approved depository based in Bridgewater, Massachusetts, and is known for being the largest seller of raw gold to the federal government. With more than 35 years in vaulting experience, generates more than $8 billion in yearly revenue by maintaining direct distribution and storage relationships with some of the world's largest government mints. All of the precious metals stored in the CNT depository are 100% insured by Lloyd's of London. The depository itself is a Class III facility with 1,400 square feet of segregated vault space, 75 cubic feet of private vault storage, and more than 20,000 square feet of fully insured storage. I am looking into the self directed IRA and wondered, Is there a IRS approved depository in Oklahoma? What is the nearest depository to Phoenix, AZ? It’s interesting that immediately upon seeing the news of the credit downgrade that my and Doc’s initial reaction was to speculate that silver my sell-off on this news. But after some deliberations and research, particularly reading about the APMEX suspension of the purchases prior to the Asian open, that it became obvious what was going to happen. This became the case in my mind anyway. That’s what a good blog with many good thinkers connected to the right way to think about what’s really happening to our economy at the hands of these criminals is all about. THIS IS WAR against the EVIL-PAPER DOERS!We must use every piece of information at our disposal to defeat them and bring back REAL MONEY TO REPLACE THIS PAPER FANTASY!40 BUCKS AS I WRITE THIS!